THE ACCLAIMED AUTHOR OF JUDGMENT OF PARIS EXPLORES THE THRIVING BUSINESS OF BARGAIN WINES AND OFFERS HIS RECOMMENDATIONS FOR THE BEST VALUES. Is inexpensive wine any good? Award-winning author George M. Taber shows that it is, examining the paths to success of the world’s best-selling bargain brands. Taber helps readers learn to trust their taste and make informed decisions when confronting wine lists, and reveals how innovators are turning the old vin ordinaire into something extraordinaire. 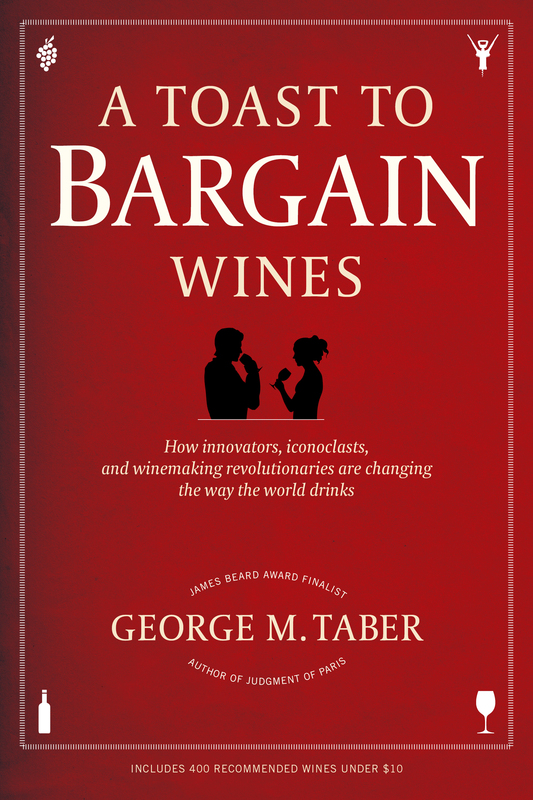 A Toast to Bargain Wines is an accessible mix of history, business, and reference, and includes a two-part guide to the world’s best buys: George’s ten favorite bargains of every varietal (plus two splurges in each category), then ten value brands from twelve regions around the world. Casual wine drinkers and connoisseurs alike will benefit from this insider’s guide to finding and enjoying good wine—at a great price. As the French say, plus ça change, plus c’est la même chose (the more things change, the more they remain the same). So-called wine experts still pour out their views on paper, on the Internet, and anywhere people will listen, and those opinions can determine whether a wine consumer will spend hundreds of dollars on a prized bottle for some special evening. And much of the tasting and talk, then and now, remains humbug. Blind wine tastings, when people cannot see the brand of the wine they are drinking, are unfailingly honest. They can also be very humbling. When the identity of a wine is unknown, nothing stands between the person’s taste buds and what’s in the glass. The taster is forced to decide whether he or she likes the wine only on the basis of his or her senses. Does the wine taste like some wondrously exotic fruit or does it resemble nondescript sugar water? I was lucky enough to be the only journalist present at one of the most famous cases of wine confusion, which took place in Paris in May 1976. It was an event that Anthony Dias Blue, the American food and wine critic, has called the “most important wine tasting of the [twentieth] century.” The wines being sampled that day were some of the best Chardonnays from Burgundy, such as Bâtard-Montrachet Ramonet-Prudhon and Puligny-Montrachet Les Pucelles Domaine Leflaive, and leading Bordeaux reds, including Château Haut-Brion and Château Mouton Rothschild. The French wines were tasted blind alongside unknown California Chardonnays, including Chalone and David Bruce, as well as Cabernet Sauvignons, such as Mayacamas and Ridge Monte Bello. The judges included some of the world’s most eminent wine experts: sommeliers at prestigious French restaurants, the editor of France’s leading wine magazine, and famous winery owners. But during the tasting, those prestigious judges became totally confused and couldn’t even accurately distinguish which wines were French and which were from California. At the end of the day, they selected a California Chardonnay (Chateau Montelena) and a California Cabernet Sauvignon (Stag’s Leap Wine Cellars) as best in the white and red categories. The Californians were delighted, while the French judges were shocked and suffered the wrath of their compatriots, who condemned them for rendering such an outrageous decision. There have been many other occasions when people misjudged wines because they didn’t have the comfort of knowing what had been poured into their glass. If the world’s best experts sometimes mix up a rarefied Bordeaux First Growth with pedestrian plonk, how are average consumers supposed to tell them apart? That is not to say that any $5 bottle is just as good as a 2005 Domaine de la Romanée-Conti Montrachet that costs $4,000 a bottle. It isn’t. Yet these incidents raise questions about the professional tasters and other experts who tell average consumers what wines they should drink. Clearly, wine consumers should not be buying a bottle simply because it is expensive or because some famous person says it’s good. People should decide for themselves which wines to drink no matter the price or the pedigree. They may be pleasantly surprised by what they discover. 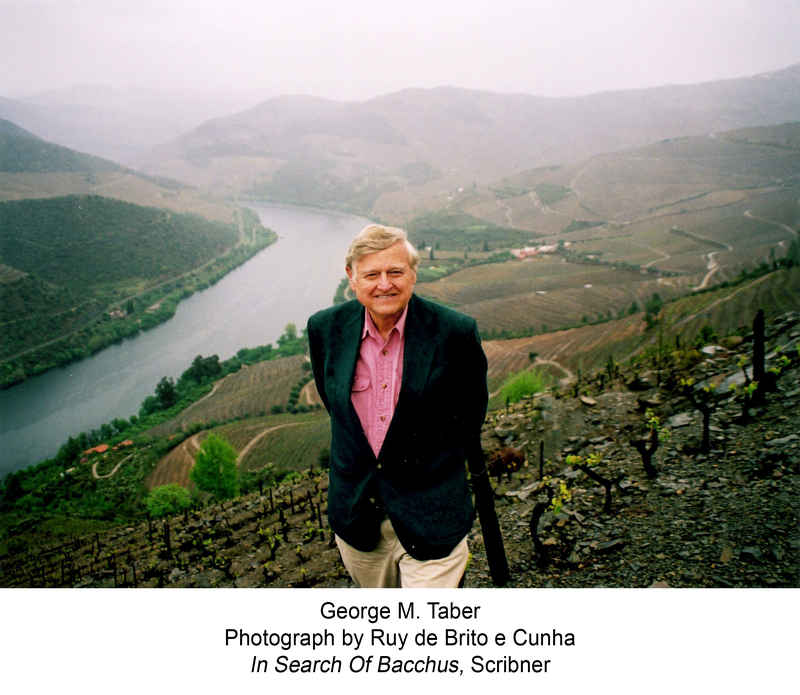 "One of today's finest wine journalists, GeorgeTaber once again gets the scoop before it hits the headlines. First it was the JUDGMENT OF PARIS. Now it's the news that, amid all the woes ofthe Great Recession, there's one thing worth celebrating: more great wine onthe market at bargain prices than anyone ever thought imaginable. A TOAST TO BARGAIN WINES tells you why--andwhere to find them."